Katherine Bowie is Professor of Anthropology and former Director of the Center for Southeast Asian Studies at the University of Wisconsin-Madison. She has conducted over 40 years of extended fieldwork in Thailand, with primary interests in Thai peasant history, political economy, social movements, electoral politics, gender, historical anthropology, and Theravada Buddhism. She has served as Eisenhower Fellow to Thailand, Fulbright Scholar, President of the Midwest Conference of Asian Affairs, and multiple years on the organizing committees for the Council of Thai Studies (COTS). Her publications include Rituals of National Loyalty: An Anthropology of the State and the Village Scout Movement in Thailand (Columbia University Press, 1997); Voices from the Thai Countryside: The Necklace and Other Short Stories of Samruam Singh (University of Wisconsin Southeast Asia Series, 1998), and Of Beggars and Buddhas: The Politics of Humor in the Vessantara Jataka in Thailand (University of Wisconsin Press). She is currently conducting research on Thailand’s famous northern monk, Khruba Srivichai (1878-1938). Michael Herzfeld is the Ernest E. Monrad Professor of the Social Sciences in the Department of Anthropology at Harvard University and has taught at many universities worldwide. His interests cover a broad geographic, linguistic, and cultural range: from Europe to China to Southeast Asia. Herzfeld has conducted research in Greece, Italy, and Thailand on the social and political impact of historic conservation and gentrification, the discourses and practices of crypto-colonialism, social poetics, the dynamics of nationalism and bureaucracy, and the ethnography of knowledge among artisans and intellectuals. He is the author of many books, including Ours Once More: Folklore, Ideology, and the Making of Modern Greece (1982), The Poetics of Manhood: Contest and Identity in a Cretan Mountain Village, Anthropology through the Looking-Glass: Critical Ethnography in the Margins of Europe (1987), The Social Production of Indifference: The Symbolic Roots of Western Bureaucracy (1992), Cultural Intimacy: Social Poetics in the Nation-State (1997; second edition 2005), Anthropology: Theoretical Practice in Culture and Society (2001), The Body Impolitic: Artisans and Artifice in the Global Hierarchy of Value (2004), Evicted from Eternity: The Restructuring of Modern Rome (2009) and most recently Siege of the Spirits: Community and Polity in Bangkok (2016). Duncan McCargo is Professor of Political Science at the University of Leeds. Since the beginning of 2015, he has held a shared appointment at Columbia University, where he is a Visiting Professor of Political Science. McCargo is best known for his writing on contemporary Thailand and Asia-related topics. His work deals mainly with the nature of power: how entrenched elites seek to retain it, and how challengers seek to undermine their legitimacy. McCargo's book Tearing Apart the Land: Islam and Legitimacy in Southern Thailand (Cornell 2008) won the inaugural Bernard Schwartz book prize from the Asia Society. McCargo has published several other books on Thailand. These include: Politics and the Press in Thailand (2000), Reforming Thai Politics (2002), The Thaksinization of Thailand (2005), and Mapping National Anxieties: Thailand's Southern Conflict (2012), among others. 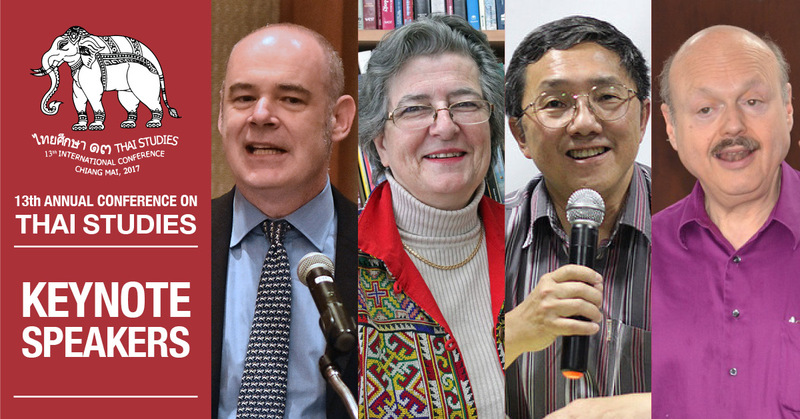 Apart from his books, McCargo has published in a number of journals including Critical Asian Studies, Journal of Asian Studies, Journal of Democracy and New Left Review. 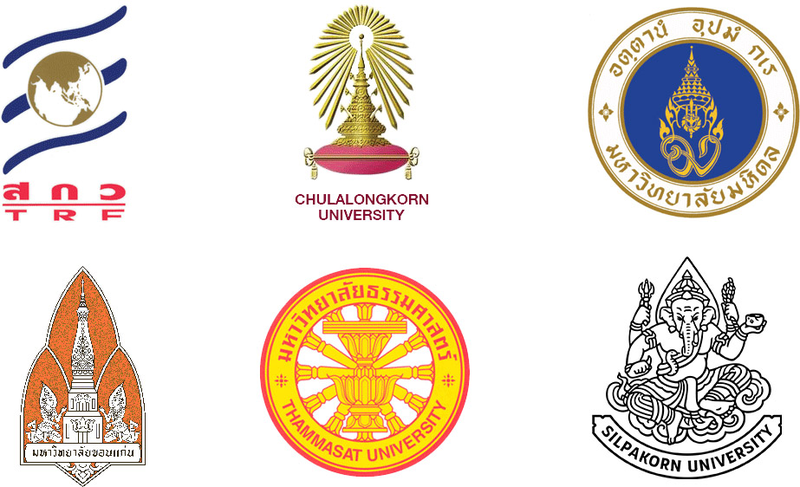 His writings regarding the "network monarchy” have been highly influential among Thai academics. Thongchai Winichakul is Professor Emeritus of History at the University of Wisconsin–Madison. With a long background in political activism since his student years in the 1970s, he is one of the most visible critics of political and cultural issues in Thailand—especially Thailand’s political crisis since the mid-2000s. His work has had a major impact on the concept of Thai nationalism. His best-known academic work, Siam Mapped, critiques existing theories of Thai historiography. He is focused on Siam's historiography and historical ideology, encounters between Southeast Asian societies and the West, modern Thai cultural politics from the late nineteenth century to the present, nationalism, geography, mapping, dangerous history, and the emergence of Buddhism as a constituent of the national identity idea along with the civilizational concept of hierarchical social relations—the bedrocks of ‘Thainess.' Thongchai was named to the American Academy of Arts and Sciences in 2003. He was elected President of the Association for Asian Studies (AAS) in 2013/14, and has served as an AAS executive officer from 2012 to 2016.